IndoSurgicals is supplying to our customer a wide range of Vaccine Carrier Box, which are manufactured from high grade quality raw materials. 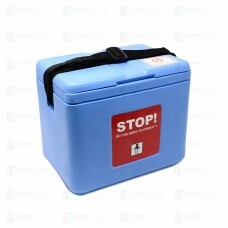 These Vaccine Carrier Box are widely known for its durability and quality. Will keep products in cool temperature for around 50 hours, easy to carry. 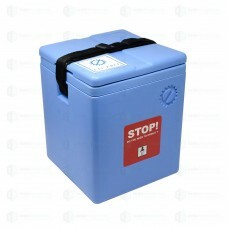 Vaccine storage dimensions (cm): 17.3 x 10.3 x 4.5 cmVaccine storage volume (L): 0.8 LitreWeight ful.. Vaccine storage dimensions (cm): 9.0 x 9.1 x 16.5 cmVaccine storage volume (L): 1.35 LitreWeight ful.. 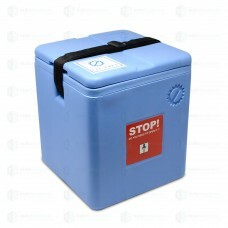 Vaccine storage dimensions (cm): 11.38 x 11.38 x 19.0 cmVaccine storage volume (L): 2.5 LitresWeight..